Skills and Abilities: Dusu is a skilled fighter, though at a basic level, his abilities lag behind those of his brother Waso and the other Galemren. They have a physical advantage and decades of experience, but even the least of the Tribe of the Gathering Wind is formidable when set against outsiders. They have taught Dusu well, and as his powers begin to manifest, he will become truly dangerous. Powers: Dusu is on the Path of the Ancient. He is becoming an Ancunarim. Ancunarim are beings of great power, blessed by Powisienne, the Father of All and sculptor of the world of Asunda. There is one Ancunarim for each animal species, and Dusu is becoming the avatar of the jaguar. The full extent of his powers is unknown at this point, but they are growing as he continues down the Path. Currently, he has the senses of the jaguar and he can take on some of the animal’s physical characteristics and abilities. 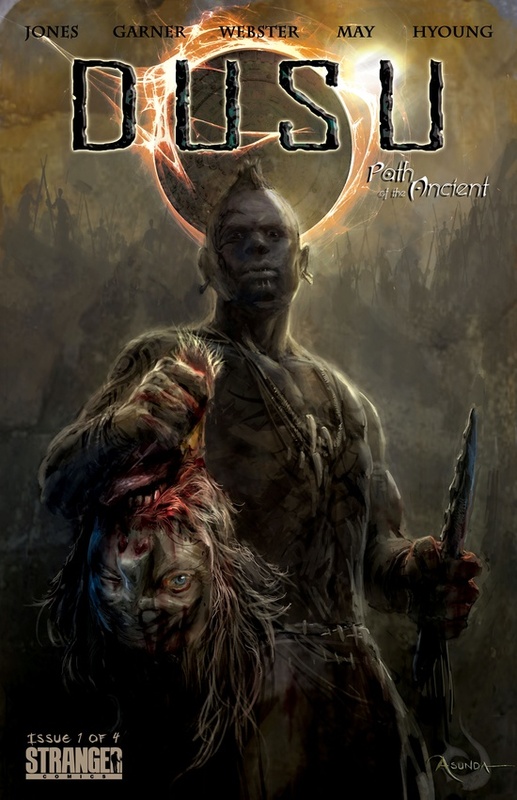 Biography: Dusu is a human who has been raised by Galemren, the wild elves of Asunda. For a human to be found among the Galemren is not just unusual, it is unheard of. When the Galemren found him as a young child, his mother was dead, and he clung to her, his face buried in her breast in an attempt to hide, for he was surrounded by the beasts of the jungle. To the Galemren, this was the way of the wild, and if it was the will of Powisienne that the child sate the hunger of the approaching cat, then they could not interfere. But as they turned to leave the boy to his fate, something remarkable happened. The cat did not attack. The cat began to lick the boy as a mother does to her cubs, cleaning him as his mother no longer could. The chief of the Galemren knew this to be a sign from Powisienne, and took the boy as his own son. Now Dusu has become a man, one who has never belonged to the world that adopted him, but neither does he belong to the world he left, for indeed, he is not entirely human either. He is on the Path to something more.